While a broad spectrum of environmental threats has made its entry into contemporary literary studies during the past decades, the range of environment-related diseases in creative writing has often escaped the attention of literary critics, waiting still to be unearthed. In this new geologic epoch, the Anthropocene, the editors of this collection take up a new angle on environmental humanities, and attempt to highlight the impact of global environmental degradation on public health that a number of literary texts make visible. 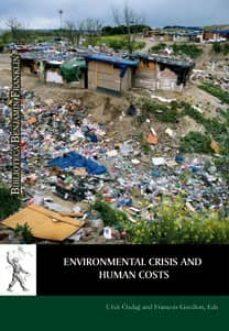 In the wake of the global interest in the connection between environmental degradation and human health disruption, the eleven essayists in this volume bring to the fore a central question for the environmental humanities today: How immersed should the literary scholar be in his/her explorations of human health issues, and how will new work in the field affect environmental criticism in America and elsewhere? This collection demonstrates that already significant contributions are being made by American writers on the topic of environment-related diseases.